Yes, Netflix is making a serious Oscar play this year with Alfonso Cuarón's artful Roma, and already took home a bunch of Emmys for their original series like The Crown, Godless, and Black Mirror. Each year, their crop of original programming gets more and more outstanding, creating an awards heavyweight out of what was once a humble DVD rental service. But the best thing on there right now isn't a cerebral awards contender or an effects-heavy prestige drama series. It's not even a Netflix original. 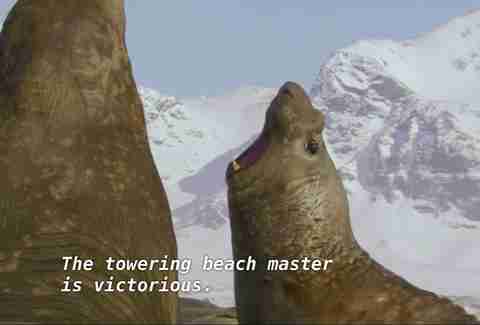 It's a British nature documentary about fish. In 2001, The Blue Planet, the first documentary series to dive deep into Earth's oceanic history, premiered on the BBC and changed the course of nature filmography forever. Containing creatures and phenomena that had never been seen on camera before -- and some that had never even been seen at all -- The Blue Planet took five years, nearly 200 filming locations all over the world, and a set of specialized deep-water submersibles to make. In 2006, the BBC's Planet Earth became the most groundbreaking nature documentary series ever commissioned, the first ever to be filmed entirely in high definition. It won four Emmys, a Peabody Award, and a Royal Television Society Award, and pretty much singlehandedly paved the way for future documentaries, including its own sequel, Planet Earth II (remember those lizards? ), Frozen Planet, and a number of deep dives into the ecosystems of Africa, China, the South Pacific islands, and Madagascar. Planet Earth changed everything, which is why going back and recreating one of the BBC's greatest hits only makes sense. 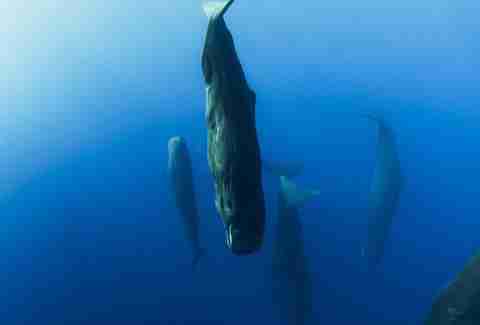 In 2013, the BBC Natural History Unit announced another series, then titled Oceans, would begin filming. Over the course of the next four years, the naturalists, directors, and cameramen produced a new compendium of undersea life, retitled Blue Planet II, that revisits many of the highlights of its predecessor while also continuing the Blue Planet tradition of filming the rarest creatures and behaviors that had never before been caught on camera. 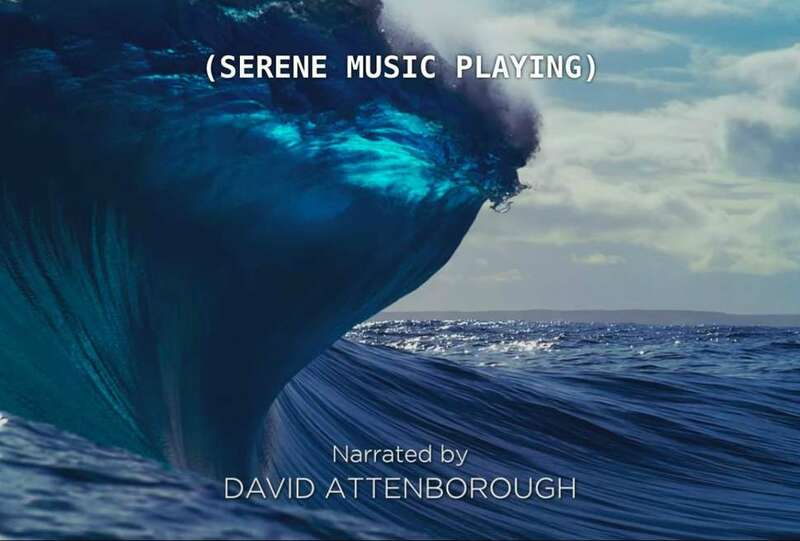 Per its custom, the series is narrated by Sir David Attenborough, and features what I would say is composer Hans Zimmer's best score in years. Finally, after dropping on Netflix on December 3, the whole season is available to American audiences for the first time outside of Europe. Each episode takes us through one of the many oceanic environments of the world, like the vastness of the open ocean, the technicolor (and dying) coral seas, and the darkest depths of the deepest places on the planet, each of which has at least one creature that will make you be like, "What the hell," or, "That's messed up, man," the same as I have. More than 6,000 hours of underwater footage shot over 125 expeditions to 39 countries allowed the directors to create thrilling, breathtaking narratives featuring the ocean's most charismatic creatures. Off the coast of South Africa, the annual sardine run attracts a feeding race of everything from dolphins to sharks to sailfish to humpback whales, all attracted by the sudden delicious bounty. The boiling hot toxic heat vents of the midocean ridges are home to a host of crabs, shellfish, and shrimp that dive into the heated plumes to find food. One fish that lives in one of the darkest parts of the ocean has eyes that look straight up out of its transparent head. A family of clownfish work together to flip a coconut shell over to their anemone home, so that their females can lay their eggs. What looks at first like a pod of dolphins being hunted by an even bigger pod of sleek false killer whales turns out to be a casual meetup between the two species that has been going on for hundreds of years. The series also has a timely climate change angle to each episode: As the oceans warm, everything, from algae to sperm whales to polar bears, will be impacted by the loss of habitats most species have had their homes in for thousands of years. The very first episode contains one devastating image of a mother walrus, unable to find an ice floe to rest on, holding her exhausted baby up with her flippers so they both can breathe. You will fall in love with Persistent Percy, a little tusk fish determined to crack open a clam for his dinner, who is one of the thousands of creatures losing their habitats due to coral bleaching. Whenever a new Planet Earth or Planet Earth-like series drops, it's an Event. (Again, remember the lizards??) Blue Planet II and its edutainment siblings have found a cozy niche for themselves between genuinely engaging educational programming and the kind of thing you suggest when you and your friends have partaken in the devil's herb and are looking for something beautifully filmed that'll totally blow your minds, brah. Most things on Netflix, even if they're good, are always imperfect. 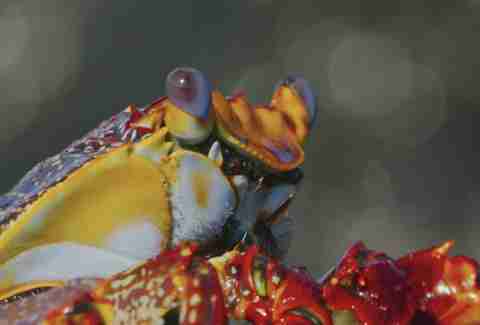 Blue Planet II is close to sublime. Now look at this lovely crab. Emma Stefansky is a nature documentary enthusiast and staff entertainment writer at Thrillist. Follow her on Twitter @stefabsky.